The Hearth House is a full-service retail showroom from purchase to installation and construction of all products. ​Bring the indoors out! 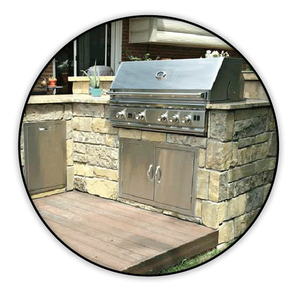 The ultimate luxury to your outdoor living space starts with an outdoor kitchen. We have our whole project covered from design, product, and installation. We specialize in the installation of brick and stone veneer. Whether you need a repair or want to revamp the exterior of your home, we have the capabilities to complete all of your masonry needs. We carry several lines of manufactured and real stone and brick. We invite you to visit our store to explore the various textures and colors of stone and brick we use. Looking for a gas, wood or fireplace to warm up your home? 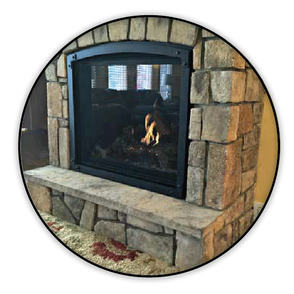 We carry several different brands and can also install the fireplace for you! 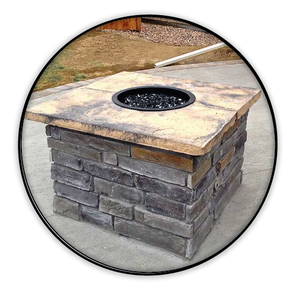 Gather around the fire pit with family and friends anytime of the year! Choose between gas or wood burning fire pits. We carry a wide range of sizes that are sure to match any budget.